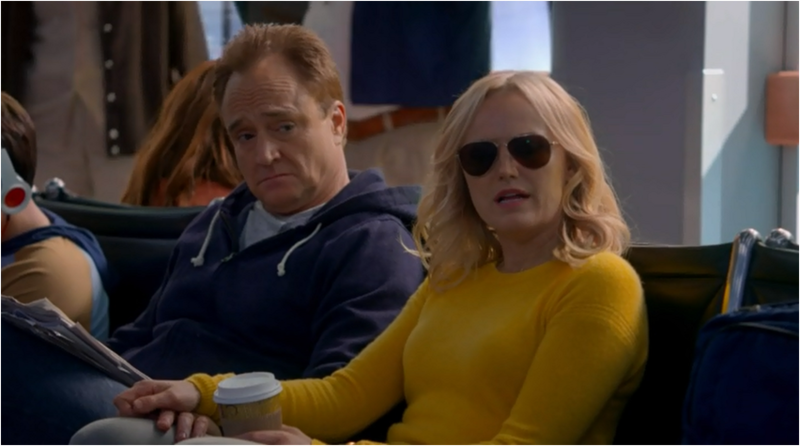 Yellow clothes are my weakness and while my quest to find the perfect mustard hoodie is ongoing, thanks to this week’s Trophy Wife I’ve been distracted from hoodies by bold yellow sweaters. Springtime is upon us and this means packing up chunky knitwear (well maybe not quite yet as snow lingers in some places, sorry guys). Lighter and brighter options are what I will be looking to showcase in the coming months and this is a great place to start. Here are some alternatives – some that won’t break the bank – if you want to brighten your wardrobe. 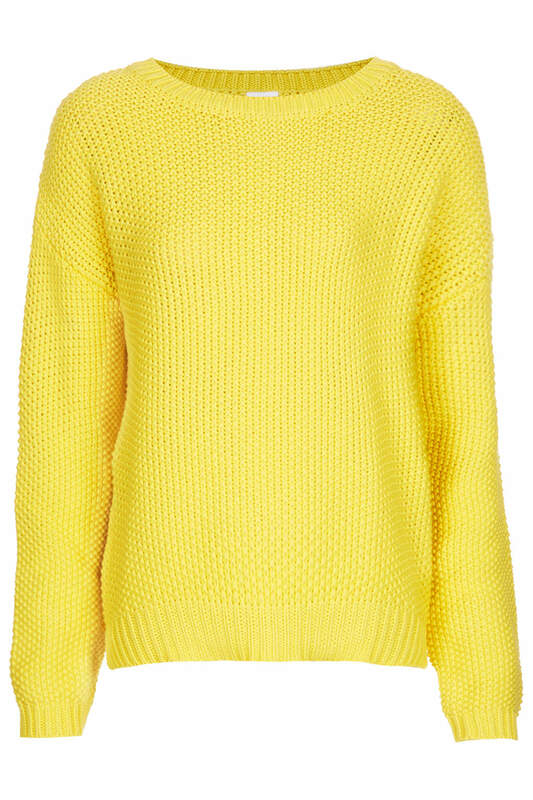 Confession time – I’ve been looking at yellow sweaters for some time now and it’s this French Connection ribbed, 3/4 length sleeve affair that started the obsession and it has been top of my covet list for about two months now. Like I said in the intro, yellow is my clothing weakness. Well, one of my clothing weaknesses (see also polka dots and stripes). 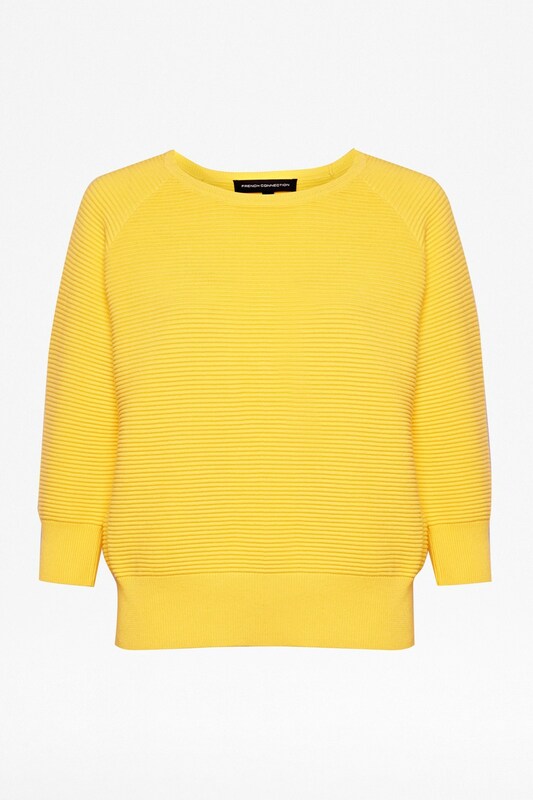 The Whitepepper’s Beehive knit jumper is a way to do yellow in a chunkier (read warmer) style if spring looks more like winter at the moment. As they suggest on their website, it is perfect for layering. 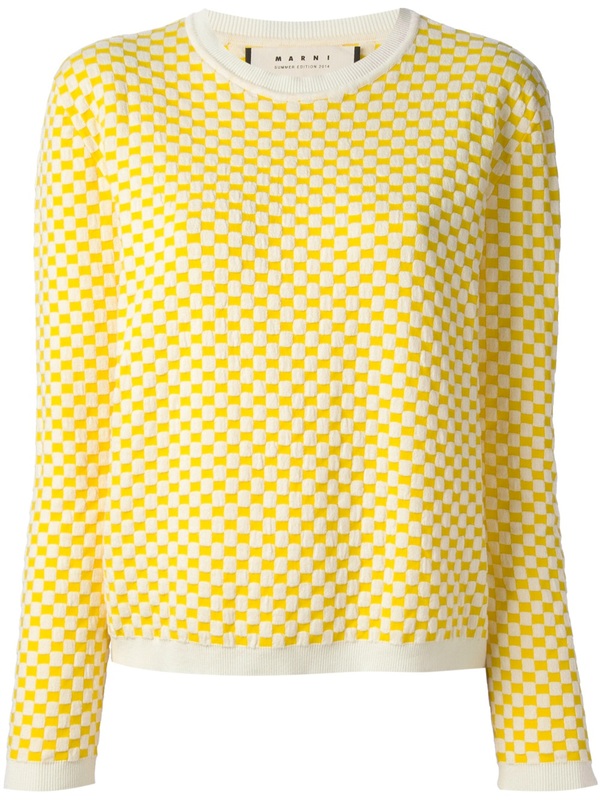 For something slightly different try this Marni tile pattern sweater as this is one way to wear yellow in pattern form without resorting to polka dots or stripes.